On behalf of the families we serve, we would like to thank the many people who made this year’s Pearl Anniversary Gala a huge success! The 2019 Gala was sponsored by Nations Lending Corporation, GenOn, Performance Health and LaCentre Conference & Banquet Center. It was a night of celebration as we showcased the many ways in which CRS has helped make a difference in the lives of income-eligible families living in Avon and Avon Lake. The generosity of our sponsors, advertisers, donors and 407 guests allowed us to raise over $82,000. It is because of this generosity that CRS is able to continue its mission of diminishing the effects of poverty in Avon and Avon Lake. These beautiful diamond stud earrings were hand-selected in Antwerp, Belgium by Theresia Oreskovic, owner of Peter & Co. Jewelers in Avon Lake. 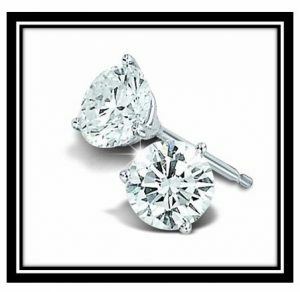 Valued at $6,500, these solitaire diamonds are mounted in a 3-prong setting with post and friction backs in 14k white gold. The natural diamonds are brilliant cut, with a total weight of 1.07 carats, color grade F, a clarity grade of SI with a laboratory report from the American Gem Society. Congratulations to Carol and Chuck Froehlich! They were the lucky winners of the Jewelry Raffle!